Every construction job requires the right tools and supplies, which is why Bob the Builder has the ultimate building material - Mash and Mold Playsand! Mash and Mold Playsand from Fisher-Price is shapeable, moldable and when you're ready to demolish instead of build totally mashable! Mold, build and destroy with this spectacular sand-like substance that never dries out and doesn't leave a mess. 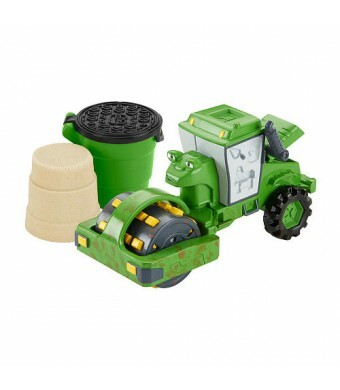 Mash and Mold Playsand is even more fun with a molding machine like Roley, who features a cool roller with retractable plugs and over four molds in unique places like his wheels and the sides of his cab. 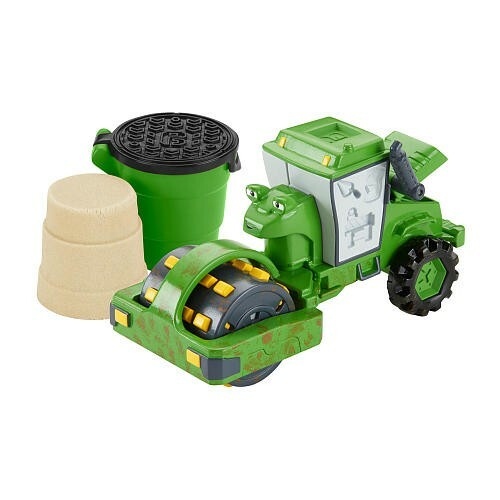 He also comes with 4 ounces (113.4 grams) of Mash and Mold Playsand, so kids can use their imaginations to craft sand creations with a little help from Roley. Now children can be part of Bob's crew as they help build and demolish using Mash and Mold Playsand by Fisher-Price.